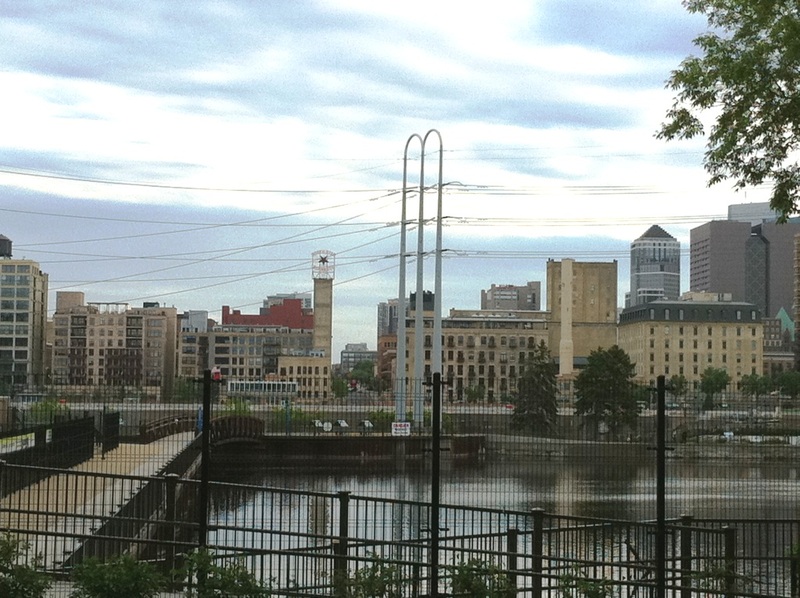 Writing this from Vic’s on St. Anthony Main, a nice cobble-stone drive along the Mississippi River and across from Minneapolis. I’m poaching their WiFi and luckily fell upon their awesome and extremely reasonable wine list. Colores Del Sol Malbec for $7.00 (pretty much what you purchase it for in the liquor store). And Minnesota is a Cork-And-Carry state. Meaning I can buy this bottle just for myself and not have to guzzle it down in one sitting. They are primarily a wine bar/restaurant than a beer one. However, I did enjoy a Summit EPA on the deck this 75-degree Minnesota evening. My waiter, Rob, emphasized that their wine list aligns with their direct liquor cost, so what you pay, they pay. And though I asked for their “reasonable Chardonnay,” Rob came by with the wine list and pointed out the balance in cost and urged me to get a bottle for nearly the same price. I like the view. Price was reasonable. It feels quaint. And free WiFi, so I can do my work with a bottle of vino at my side, priceless (and now, my life as a PR consultant). For my Denver friends, mark your calendars and fast for days to get your fill, the 2nd annual Denver Burger Battle is coming. Denver Burger Battle 2011 tickets are now on sale for the event happening 5:30-9:30 p.m. on August 10, 2011. We went last year (see my post from last year’s event) and you’ll indulge on even more this year with 12 of the best Denver burgers, 3 breweries, 1 winery & Little Man Ice Cream. From Mpls.St.Paul’s email newsletter: Beth Dooley trips it out to Stillwater for First National Green Room. Read the review of what she found in our July issue, on newsstands June 30. First National Green Room, 215 Main St. S., Stillwater. The Buzz: It’s the perfect time of year for the river city, and we might have found you a great place to cool your heels and grab a bite. You had me at Denver Burger Battle. I’m hungry again now. Sounds like you’re settling in quite well thus far, taking in some new haunts along with your old standbys. Bon appetit and happy drinking! No!!!! So bummed you won’t be at the Burger Battle this year! Best of luck in the new city. My college roommate and one of my closest friends owns the burger franchise “MyBurger” in Minneapolis – check em out.